WE OPEN IN A HOLY WEEK! Hotel Las Dunas Hotel Las Dunas is a charming, comfortable hotel in Noja. Situated on the beachfront, just 10 metres from Ris Beach, it enjoys a wonderful location and is near a golf course, the Paseo de la Costa and the tourist heart of Noja. 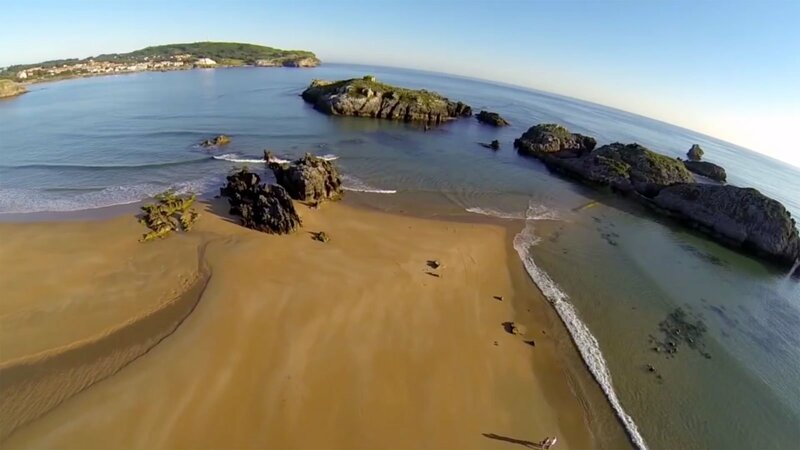 Nestled in the best coastal area in Cantabria, Hotel Las Dunas offers relaxation by Ris Beach in Noja. If you book on our official website we'll treat you to 2 free drinks! We have a wide range of family-friendly activities available at Hotel Las Dunas that you can also enjoy alone: surfing, golf and hiking along the cliffs are just some of the options you can try. The best location in Noja. Situated just 10 metres from Ris Beach, which is a Blue Flag beach, the hotel enjoys an excellent location on the dunes. We are also near the tourist heart of Noja.